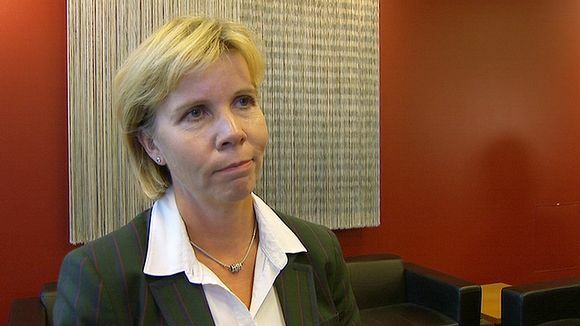 Justice Minister Anna-Maija Henriksson has expressed concern over claims by a local NGO that Jehovah's Witnesses in Finland have their own judicial committee meting out justice to wrongdoers. Responding to a report by the UUT which advocates for victims of religious organisations, Henriksson said that Finland has no room for two separate judicial systems. Alongside a report into disciplinary practices by the Jehovah’s Witnesses, the religious victims support group UUT called on Justice Minister Anna-Maija Henriksson to investigate the actions of the church. Based on first-hand accounts of 18 former church members, the UUT report claims that an internal judicial committee handed down harsh sentences including ostracism to offending church members. Henriksson avoided directly commenting on the actions of the church, but did say that Finland already has a judicial system. "Of course it cannot be in Finland that we have another system outside the regular judiciary," she said. "It’s extremely important, also in religious communities to respect fundamental individual rights and freedoms. And that also includes thinking about our own behavior and practices from the perspective of respecting others," Henriksson added. The minister advised individuals to file a criminal complaint with police if they feel that they are being targeted in violation of Finnish law. She said that the courts are the final authority on whether or not the organs of a religious group are operating legally or illegally. Henriksson said that Justice Ministry officials will look into the UUT report in greater detail next week. The matter also falls to the Ministry of Education and Culture, which is responsible for freedom of religion legislation and matters relating to religious groups. Henriksson said she also plans to discuss the matter with the minister responsible for church matters, Päivi Räsänen.